Ecouterre’s been tagging away on Inhabitat’s “Sustainable Style” Pinterest board, but it’s time to cut the apron-strings and come into our own. Introducing an eco-fashion portal to call our own, featuring everything from green celebrities to our favorite vegan designs. With nearly 250 pins to choose from—and more added every day—we make it easy to style-stalk with a purpose. Ecouterre's been tagging away on Inhabitat's "Sustainable Style" Pinterest board, but it's time to cut the apron-strings and come into our own. Introducing an eco-fashion portal to call our own, featuring everything from green celebrities to our favorite vegan designs. 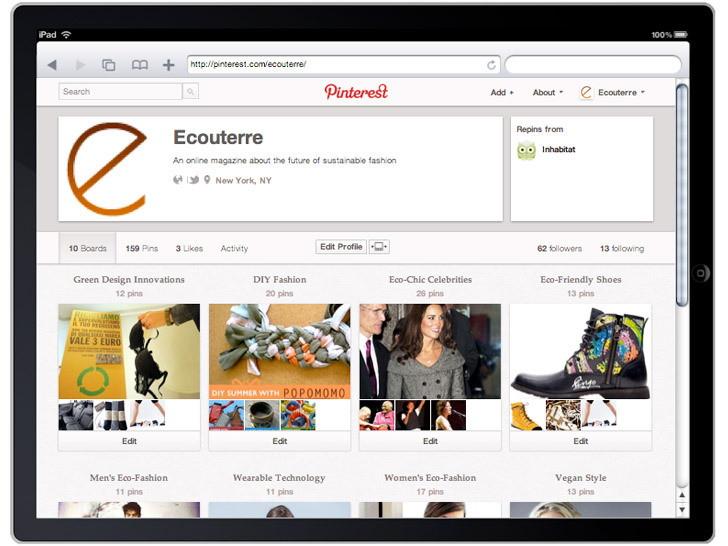 With nearly 250 pins to choose from�and more added every day�we make it easy to style-stalk with a purpose.